In honor of the Seahawks(! 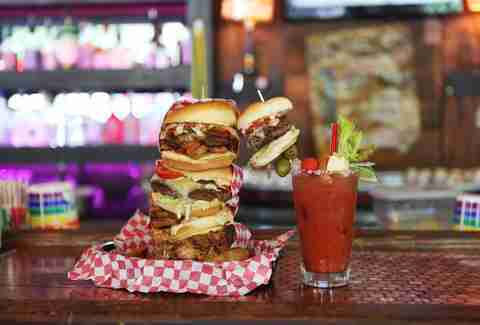 ), drinking, America, and YOU, we proclaim the Monday after the Super Bowl shall henceforth be known as National Hangover Day. It’s a day for hangovers to be celebrated, embraced, and combated in the most enjoyable of ways -- namely, eating delicious food, and possibly drinking more. The ultimate goal? Getting the entire country a day off work, a beautiful dream you can help make happen by signing this petition to our sports-loving President right here and tweeting it. 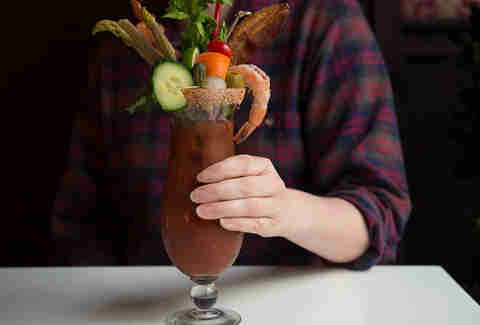 The moderately swanky Capitol Hill steakhouse is hooking you up with a not-at-all-moderate Mary that's basically a liquid meal, thanks to bacon, shrimp, and a shton of veggies bursting out of the glass. 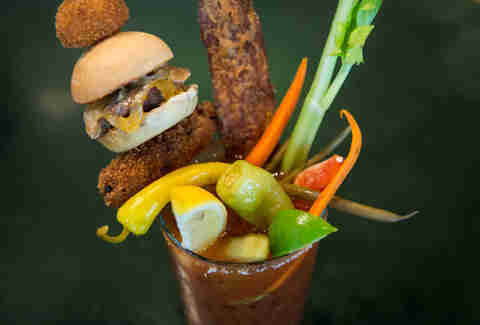 Every Sunday (at least during football season), this Seattle Center-adjacent sports bar opens up a build-your-own Bloody Bar stocked with 70 different ingredients designed for AM alcohol consumption, including 32 different hot sauces. 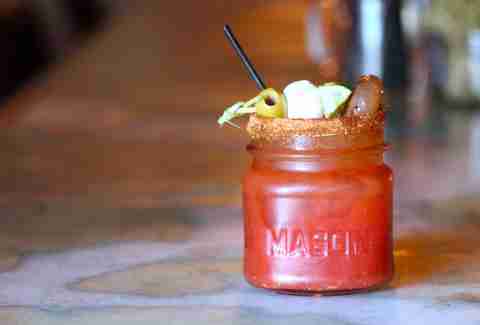 Served in a Mason jar, Skillet’s version of the Bloody Mary comes resplendent with their very own bacon jam. Even better? Skillet serves this bad boy all day, every day. 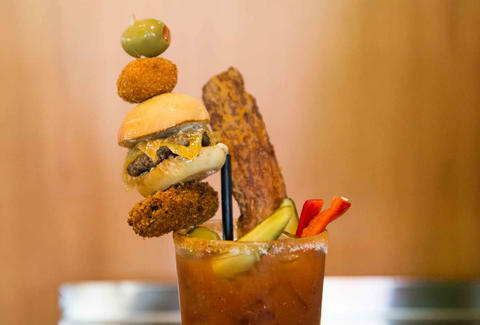 The supposed originator of our beloved Red Robin, Capitol Hill’s Sam’s Tavern garnishes their Bloody Marys with pickled asparagus, a mini kabob of tomato, cheese, sausage, and… drumroll please… lunch, in the form of a slider. Oh, and did we mention it's made with bacon-flavored vodka?! 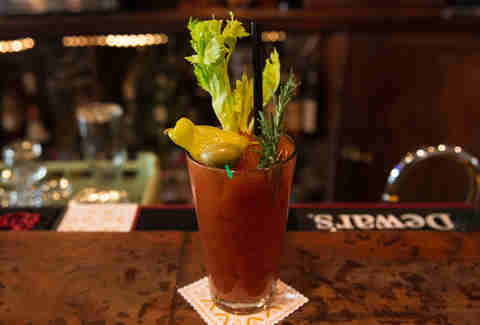 Every Sunday, King’s Hardware busies itself playing doctor to throngs of hungover sob stories with $4 Bloody Marys all day, though the pro-move is their Bloody Maria, which involves habanero tequila and touts a housemade Bloody Mary mix, TabbyCat pickled veggies, and lime. 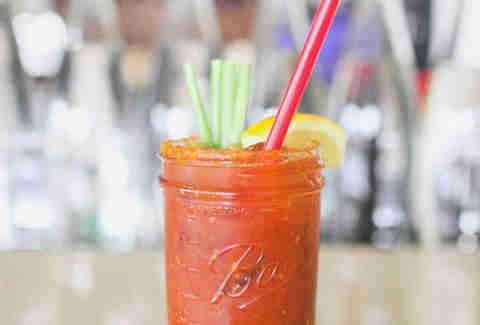 Hattie’s Hat does not mess around when it comes to Bloody Marys - in fact, their weekend brunch menu reps seven different versions (one of which involves smoked salmon, another with rosemary) of this hair-of-the-dog staple. 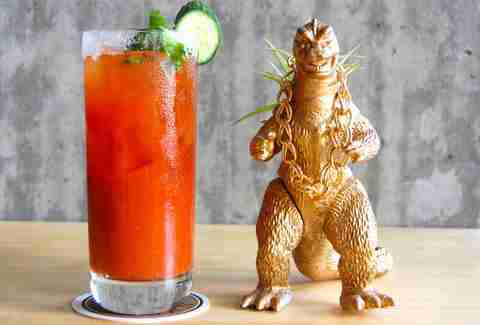 Hit Tom Douglas’s Assembly Hall for TanakaSan’s Akanone Carrot Shochu/ vodka/ carrot/ chile/ tomato/ cilantro combo -- it's fresh, spicy, and potent and just what the doctor ordered, if by doctor you mean... um, you. 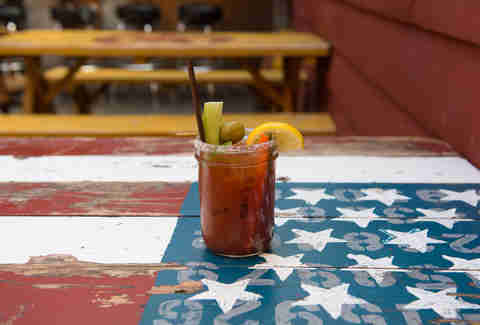 This nautically inspired boozer from the Po Dogs crew is serving a slew of craft 'tails, including the Anchor Caesar, which, in addition to being what Roman emperors started calling Nero for weighing down their reputation, is basically a Clamato Bloody Mary thickened w/ Peruvian and chipotle peppers.